Like all crafters, at times I run dry on inspiration and when that happens it is hard to sit down and get creating. Something I want to try more of though is entering various paper crafting blog challenges as a way to try and get more creative and also to get me blogging more about my makes. 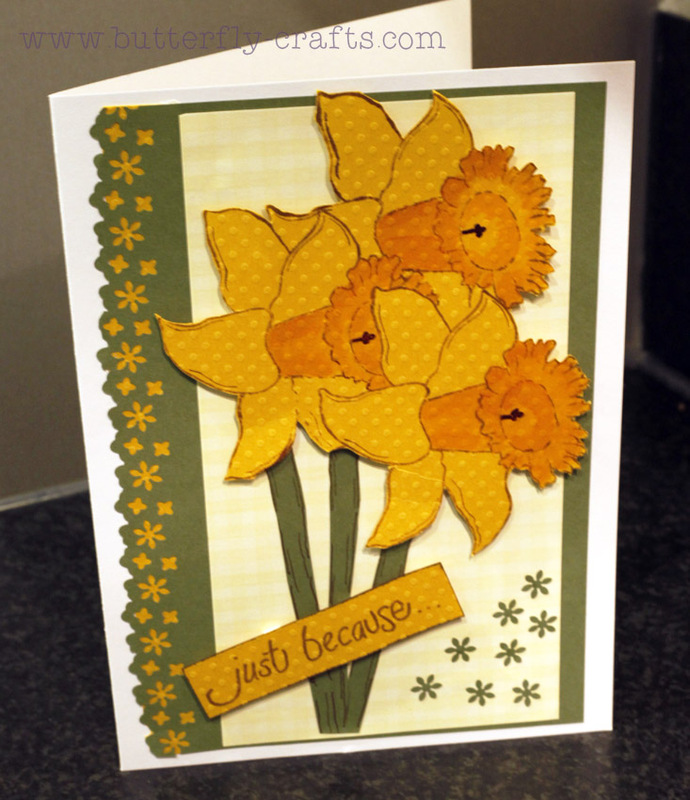 This is the first card I have made for a craft blog challenge - it is an entry into Papermill Direct's Easter Challenge - and for the challenge we had to create a card with a Spring or Easter theme, and to me, Spring is finally on its way when the Daffodils start to come out. 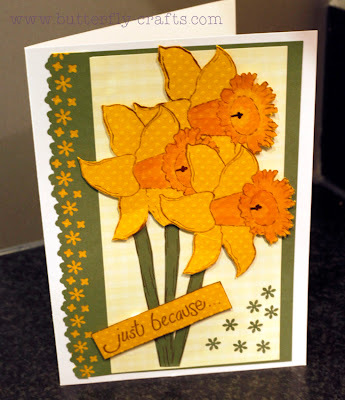 The card has been made using PMD white card stock as the base and then a daffodil head stamp from Woodware which I used as a mask on Bassil card and then inked with Distress Inks. The border is from a Tonic punch. PS, I'm not sure if you're aware that you have comment verification enabled. It makes it quite difficult to leave comments on your blog as the new system is very hard to decipher.